Most collectors of antique and vintage ammunition and ammo boxes specialize in one particular type of ammo or historical genre. For example I collect ammo mainly from the Wild West or frontier era. Old six gun cartridges, buffalo rounds, and old Winchester lever gun cartridges. However I also collect WWI and WWII era rifle ammo like the various Mauser incarnations, .303 British, Italian Carcano, 7.62’s and the 30 government of course. Below are some of the classes of ammo you might consider if you’re thinking about getting into collecting. Also note some of these are more expensive to collect than others. This is going to include cartridge offerings from all over the world America, Great Britain, Germany, Italy, France and Japan to name a few. Most will be rifle rounds and most have been available at one time or another as surplus so they are not too terribly hard to find. A lot of these rifles found a new home in civilian life after the wars were over. Company’s like Bannerman’s sold the surplus rifles and pistols for target and hunting use and usually sold the original military issue ammo to go with them. This is a fairly inexpensive collection to start, however some of the older and rarer rounds will get a bit pricey. Of course the original boxes and packaging are desirable as well but don’t expect them to be pretty. Unlike hunting ammo boxes these were not made to catch the consumers eye but rather to allow quick identification in combat situations. Some will have some pretty fancy and colorful government seals and emblems however. The empty boxes in this category are actually more popular to collect than the actual shells. 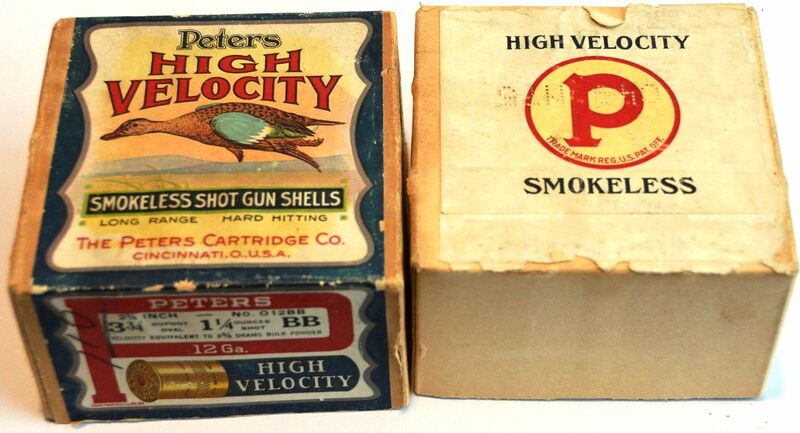 The manufactures went to great lengths to try and make their boxes more attractive to buyers than their competitors. Beautifully nostalgic and colorful artwork was the norm here, especially in the early 20th century. There are books and websites dedicated exclusively to the collection of these and they make great display items even for non-collectors. You can find a lot of these on eBay and Gunbroker. Be prepared to pay hundreds of dollars if you want any of the really rare ones in good condition. Of course some people do collect the shells as well and they make a great display in every color of the rainbow. The larger shells like the 8 gauge are getting extremely hard to come by since they have not been commercially produced in some time. The older shells will be made of paper or metal and some of the really early ones were pinfire designs. This is another very popular collecting category. 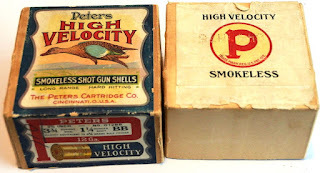 Some people do collect the empty boxes but I have found most collectors prefer the boxes to be “full and correct” which simply means all the original ammo is still in the box. These boxes were also very colorful and some were wonderfully illustrated or had some great line art depictions of the cartridge. They also had a lot of “innovative” wording used on them to make you think their product was superior to the competition. There are a lot of people who collect these and some boxes go for hundreds of dollars. The older boxes are two pieces, a top and a bottom and are the most collectible. This is an exciting area to collect and I am thinking of starting on these myself. The big boys of big bore were created for one purpose, to stop that thousand pounds of angry beast in its tracks. One shot one kill and do it quickly. The last thing you want is a pissed off wounded Elephant intent on taking you with him. In this situation you needed “Big Medicine” as Teddy Roosevelt used to describe his .458 Winchester. Of course those greatly romanticized days of the great Safari are long gone for the most part unless you want the liberal media pounding you even worse than that Elephant would have. That doesn’t stop us from longing for the days of high adventure in the savage jungle or harsh wilderness where your life often depended on that one well-placed round. The big bores are not a cheap choice to collect but there are not as many variations as there might be with some other collections. This would be a wide ranging collection considering the Civil War occurred at a time when all the cartridge design variations were being introduced but at the same time most soldiers were still carrying muzzle loaders. 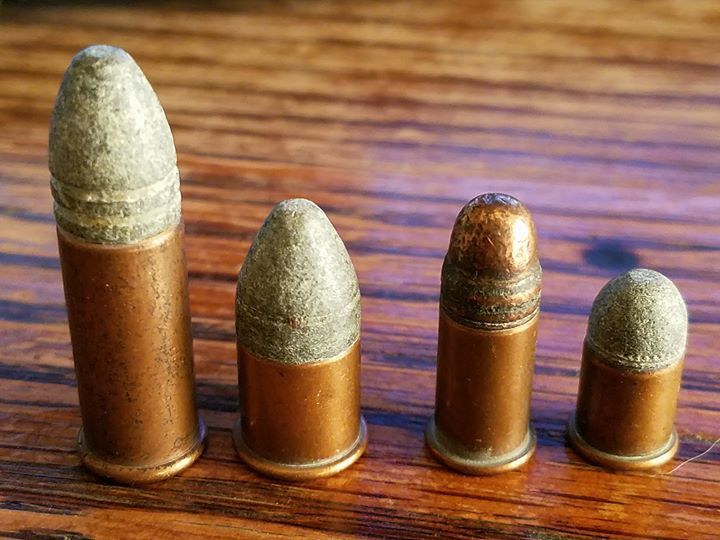 You would end up with a lot of variations of musket rounds like the Minnie ball as well as a lot of pinfire, rimfire, and various other cartridge types you’ve probably never even heard of. The musket rounds are pretty easy to find being sold on eBay or even locating them yourself with a metal detector if you happen to be near a battlefield. The cartridges of this era are another story they can be pretty hard to come by. This is probably the easiest and most inexpensive collection to start. Just start with all the modern popular rounds and start working your way back. Some of the old rimfire and pinfires will get pretty expensive. Some people even collect only 9mm Luger or .45 auto since there were so many different headstamps produced especially during the world wars. Six shooters, derringers, lever guns and double barreled shotguns were the most popular choices for the Cowboys. Big bore rifles were also popular for taking those ever plentiful buffalo or the occasional ornery Grizzly bear. This was also an era of great innovation. Names like Smith and Wesson, Colt, and Winchester were all trying to outdo each other’s gun design. In many cases they would create their own unique cartridge for use in their firearms. Some of these like the 30/30 Winchester are still in abundant use today but a lot of them fell to the wayside eventually like the .32 S&W or .38 Long Colt. The earlier rimfire pistol cartridges can be some of the most expensive in this group. If you can find the boxes from this era that have not disintegrated these are also great to collect. The pinfire cartridge was kind of like the Betamax of the ammunition world the rimfire and centerfire designs quickly won over the hearts of consumers and gun manufacturers. 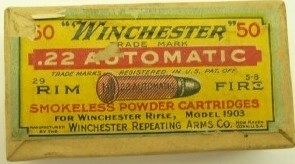 For a short while however pinfire was the cartridge design used in many shotguns and revolvers, particularly in Europe. Inexpensive pinfire revolvers were produced in large numbers in Belgium and France and many were exported to the US. Quite a few found their way into the hands of Civil War soldiers on both sides of the conflict. As I mentioned above in the Wild West category the rimfire pistol rounds are getting pretty rare and are very collectible. People with the actual firearms to accompany these rounds are also willing to pay top dollar for them. 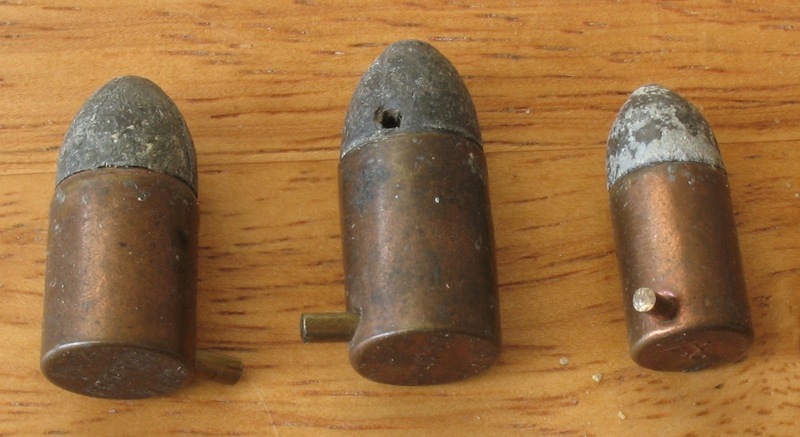 There are also some early military rounds that were rimfires for example the .41 Swiss RF. Expect to pay $10 or more a round for the less common chambers. This would likely be a small but expensive collection as few rounds were produced in rimfire when compared to the thousands of variations of centerfire. With the exception of the .22 RF the rimfire pretty much faded way after the centerfire was introduced. Amazing are the guns and their bullets too. You can also take help from the MA Gun License so as to make things really interesting and amazing. This can also take help from the firearms safety training classes to make yourself trained and feel more confident while walking on the deserted roads.